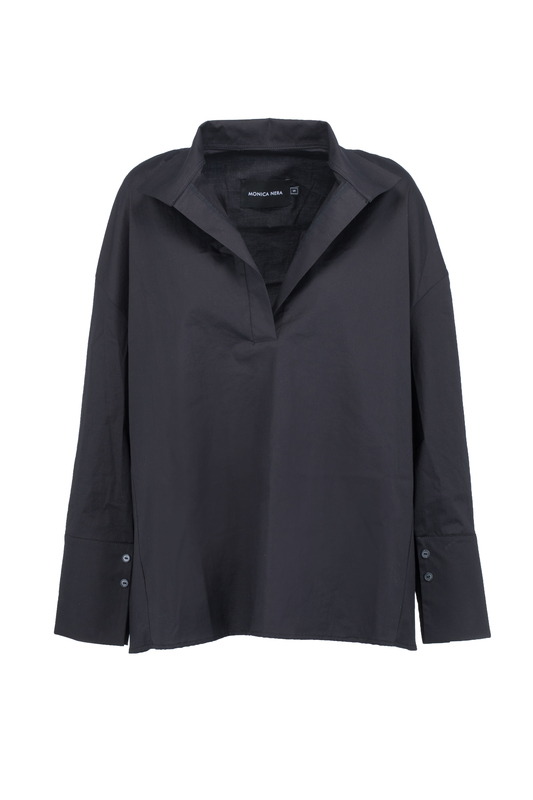 A must have for every woman's wardrobe - the timeless shirt. The V-neck design emphasises silhouette and the delicate stand-up collar and buttoned on sleeves adds elegance. Wear it with jeans or a pencil skirt and you're good to go!